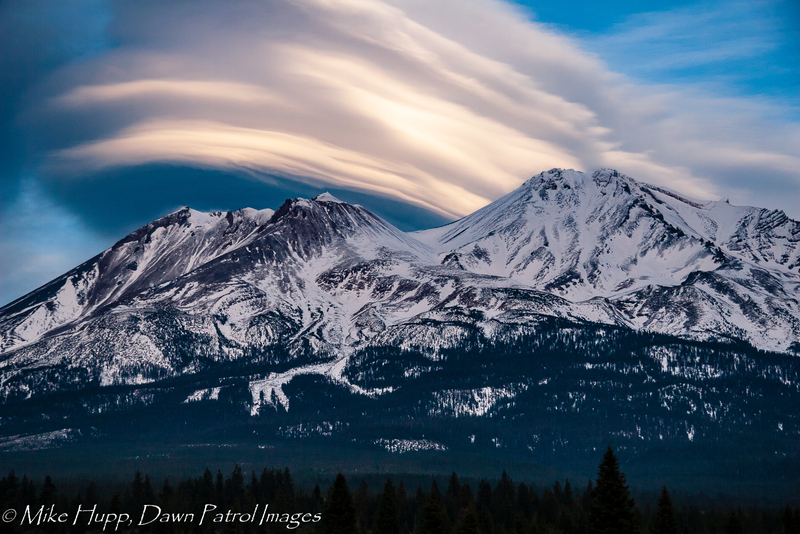 “Lonely as God, and white as a winter moon, Mount Shasta starts up sudden and solitary from the heart of the great black forests of Northern California” wrote 19th century poet Joaquin Miller. Mt. 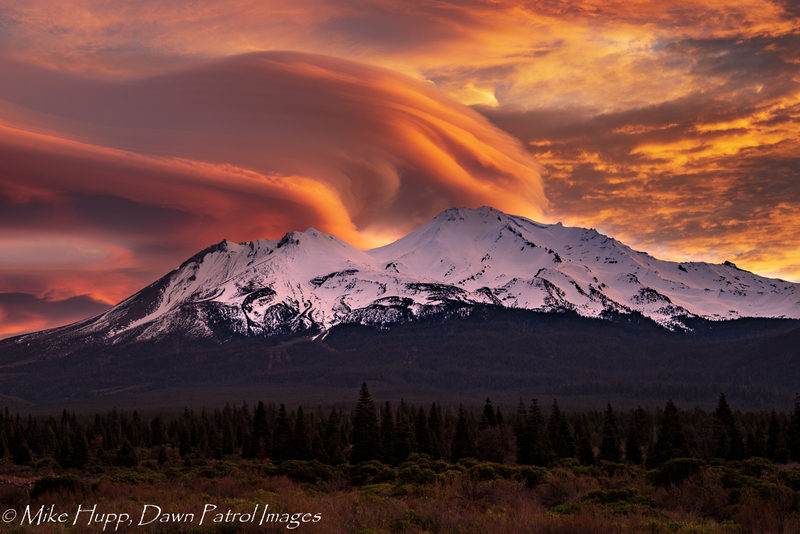 Shasta always dazzles. These images track Mt. 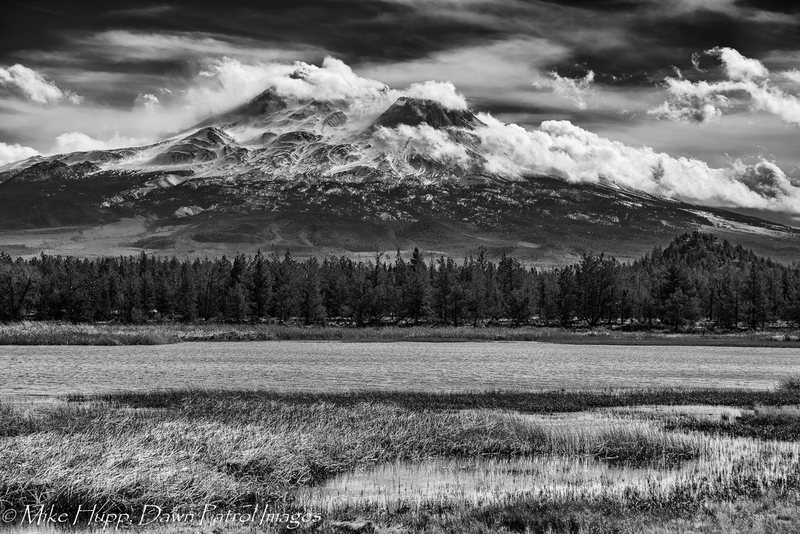 Shasta through the seasons. 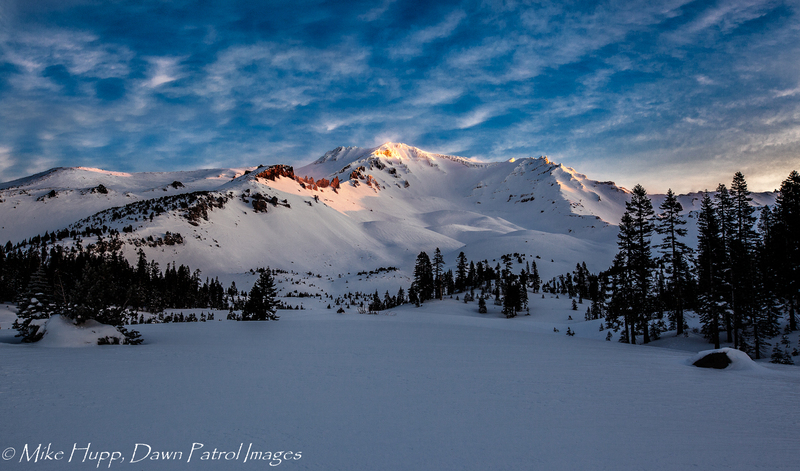 Mike, thank you again for a great morning of backcountry! I LOVE your photos! What a gift and what GRIT to endure the elements to get those photos! Look forward to seeing with you again soon. No such thing as a bad day skiing that’s for sure, but a foot or two of powder snow would be nice. Give us a call anytime. Linda and I are cheap dates when it comes to skiing. And, thanks for the kind words on the photos. There are only two hard and fast rules about shooting in the backcountry: First, if you don’t go, you won’t get the shot. Second, if you don’t take a camera, you won’t get the shot. So, I go as much as I can, and I take a camera. After that, its kind of a mix of chance, and whether or not you can get the shot. 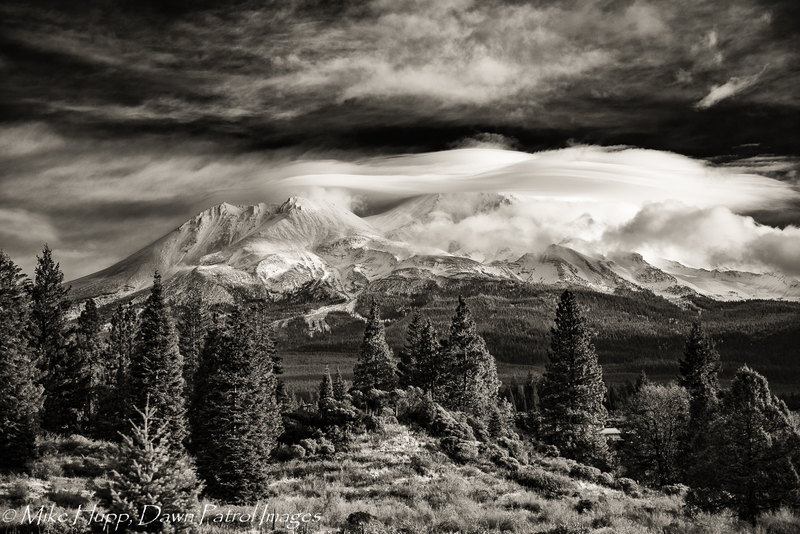 You can see prints of a few of these at the Fifth Season in Mount Shasta.